My first visit to Campagnolo was over a year ago, a few months after it opened. I had a wonderful pasta for lunch and thought that the food was fantastic, although the portions were very small for the price and the location left something to be desired. I never went back after that. But then a couple of weeks ago, I read a write-up on Campagnolo in the Vancouver Sun. I’m not usually motivated by newspaper write-ups, but this one had a photo of the chef holding a delicious looking pizza. With that image in my mind, we tried to go down a week ago for dinner but when we called down, they said the wait was over 45 minutes. 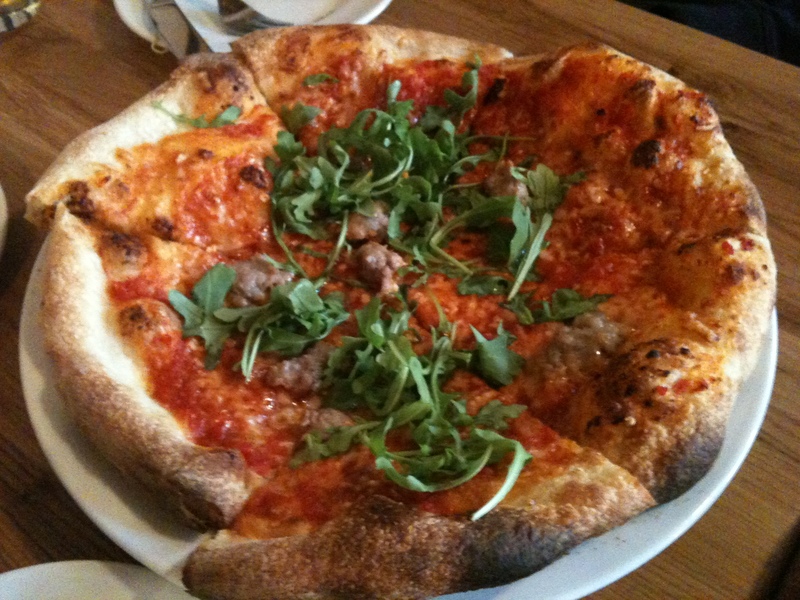 I really wanted to try the pizza, so I convinced Ben & his partner Ross to go to Campagnolo for lunch the other day. I found free parking right around the corner from the restaurant, a huge bonus in Vancouver, but then as I walked from my car to the restaurant 2 angry homeless people screamed at me for no reason at all. I guess I shouldn’t have expected much, the location hasn’t changed since the last time I went, and the area around Terminal and Main is still “gritty”. We were able to get a table right away, and within 10 minutes, we were surprised to see that the restaurant fills up for lunch. 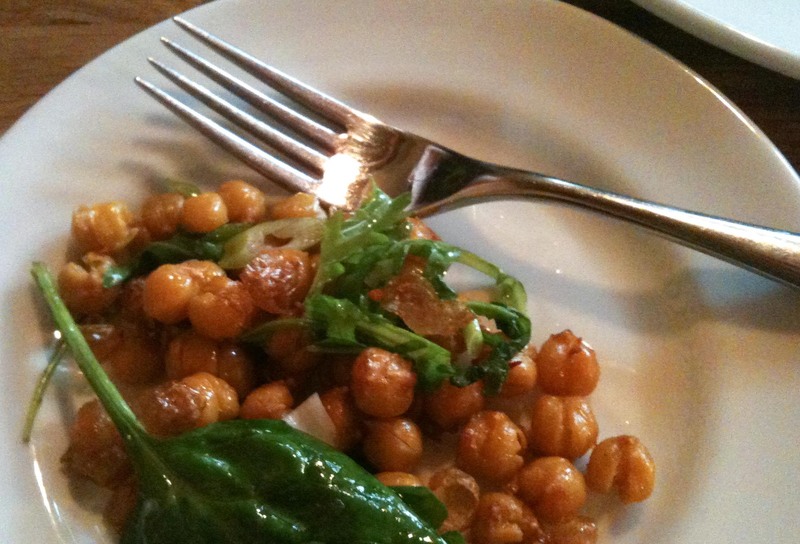 Crispy Ceci - Chickpeas that are soft inside &crisp outside with mint, chilis and citrus. A MUST ORDER! 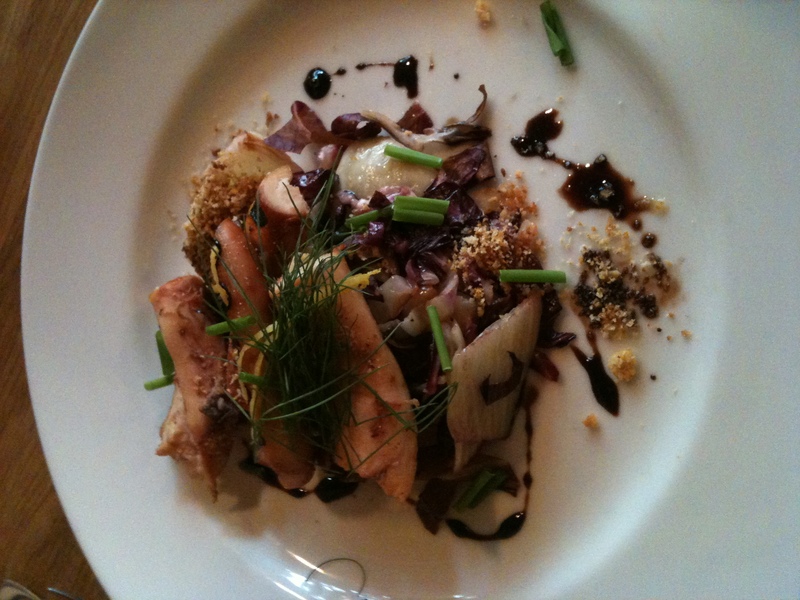 The dry grilled octopus with fennel and radicchio was just ok. The crust on this Salsiccia pizza was heavenly. Light, crispy with the right amount of chew. It may even be better than Otto(NY) or Mozza(LA). Theyre a bit chintzy on the toppings though, barely a bite of sausage per piece. 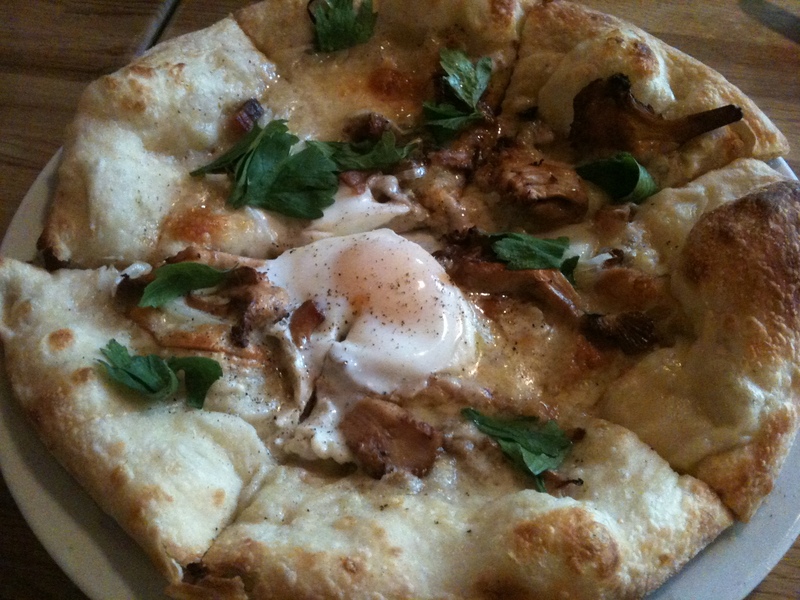 Carbonara pizza with bacon, smoked provolone, chanterelles and an egg. Again, the quality of the dough more than made up for the fact I really wanted more pieces of the delicious bacon on top. There were a lot of delicious sounding things on the menu, but the chickpeas and pizza crust are enough to make me want to go back again soon. Next time, I’ll pick Ben up at work rather than meet him there though, so I don’t have to walk in myself and maybe invite more people to join us so I can try out more of the menu. Hey susy – check out Grub. I tried it the other day – very well priced food imo. Norman – went to Grub on the weekend and had 2 amazing dishes. I can’t believe I haven’t gone sooner. Great flavours, well priced. Thanks for the rec!